So without further ado, here’s my commentary about Night of the Living Dead from our 2014 Zombie Classics edition. 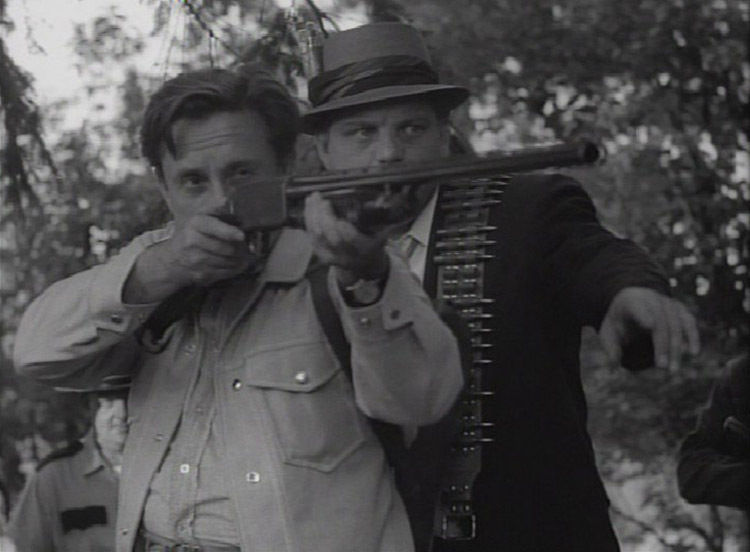 What is there to say about Night of the Living Dead that hasn’t been said already? It may be the most written-about horror film of the past fifty years and was single-handedly responsible for a seismic shift in what was achievable in horror films similar to maybe only Psycho (1960) or the original 1930s film appearances of Dracula and Frankenstein before it. For good examples of this criticism you might read (the now out of print) Book of the Dead by Jamie Russell, Tony Williams’ The Cinema of George A. Romero, or Ben Harvey’s BFI Film Classics series entry. 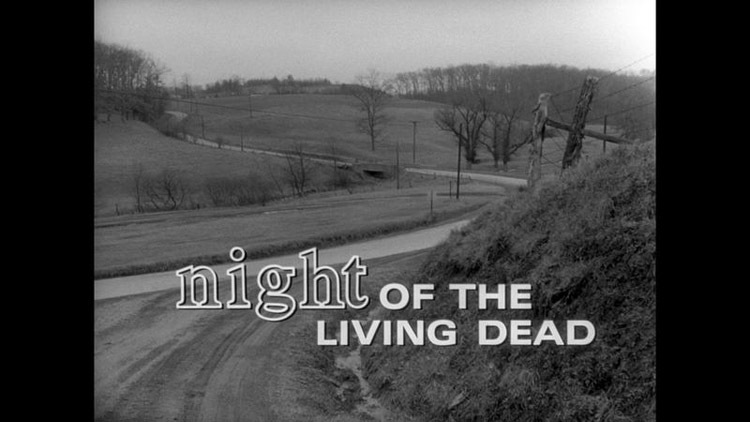 Released the year I was born, George A. Romero‘s Night of the Living Dead was able to take visual elements of horror films that had come before, most notably 1962’s Carnival of Souls and 1964’s Last Man on Earth and present them in a way that reinvigorated horror cinema and stunned audiences. In fact, Night was actually based on a short story Romero wrote that leaned heavily on Richard Matheson’s I Am Legend (the inspiration for Last Man on Earth – as well as the 1971 Charlton Heston classic The Omega Man). Notably, the walking dead in this film are never referred to as Zombies – the name that would become synonymous with the walking dead – but are called Ghouls thanks to their feasting on the flesh of the living. Before Night, zombies were something else entirely. Sure, they were walking corpses, but it wasn’t until 1968 that zombies weren’t either mindless slaves or alien-inhabited meat-suits. In one 96 minute film, Romero presented a new form of film monster that had never truly been seen on screen before – and that’s something nearly impossible to do. We do get new specific characters or creatures every now and then – Michael Myers, Freddy Kruger, Pumpkinhead, Cenobites, etc. – but those are proprietary and owned by companies. The flesh-eating zombie shambling into the horror film landscape is like suddenly discovering the filmic werewolf or vampire for the first time, and is partially why zombies aren’t going away any time soon. 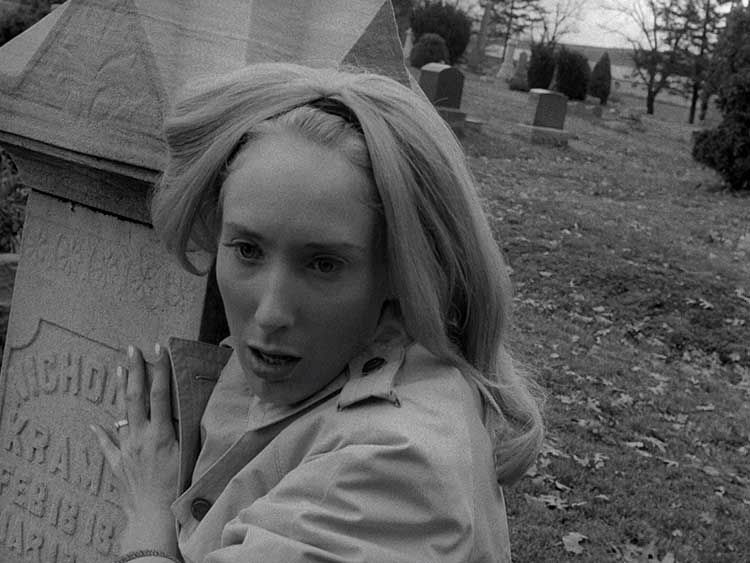 Whether intentional or not, Night of the Living Dead is one of the best representations on film of Existentialism and can be compared positively with Sartre’s play No Exit (and not just because of the famous “hell is other people” line). The film focuses on a handful of characters trapped in an isolated house and ultimately turning on one another, while outside more and more ghouls arrive and try to get in to eat them. As has been discussed other places ad nauseum, the zombies serve as shifting signifiers for any number of things – rampant consumerism, ever-encroaching death, the desensitization to violence thanks to TV coverage of Vietnam, etc. – but regardless of their inherent symbolism, their narrative and thematic function is to trap these people together in a pressure cooker of hostility and fear, allowing us to watch as their social disintegration takes place before our eyes. There’s a nihilistic streak running through the movie that almost cost the film its eventual release. Romero and Russo’s script takes what are common positive tropes in horror and sci-fi film – the young lovers, the family, the competent scientists/government, the damsel in distress, the noble hero – and subverts them all before the credits role. The young lovers are powerless and die not because of the zombie horde, but from incompetence manning the gas pump. The family is broken before they even arrived at the farmhouse, with the husband and wife despising each other and their child serving as a damaged glue keeping them together. Useless in the face of disaster, science and politics lack even the ability to agree on what is causing the zombie outbreak, much less find a way to stop it. The damsel in distress, Barbra (Judith O’Dea) is so hopelessly damaged by what she’s experienced, she’s barely even conscious of the world around her – and when consciousness does reassert itself, she is immediately lost; consumed by the monsters outside the door. The noble hero paradigm is perhaps the most notable subversion, not only because Romero cast a young black man as the lead in a film that finds him beating white men to death with a crowbar, slapping a white woman, and ultimately killing another white man competing with him for leadership. As if that’s not enough for 1968! 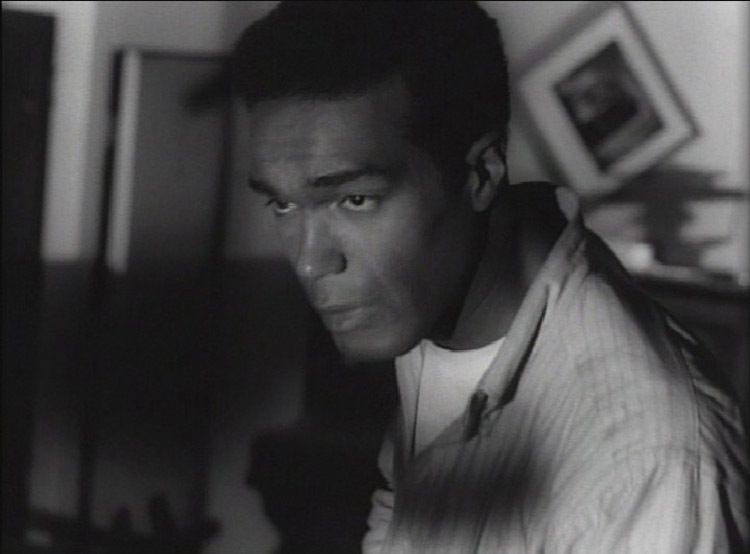 Although Romero insists to this day that they cast Duane Jones as Ben based solely on his audition, it’s hard to imagine that the possible social reverberations from this were lost on him. What ultimately subverts the heroic role completely is that everything Ben supports as safe plans of action throughout the film are eventually useless. All this hero can do is board up the windows and doors and hope for rescue himself. When action is finally engaged it’s far too late (if he’d busted the lock off the gas pumps earlier in the evening, when only one or two ghouls lurched about the yard, he and Barbra could have easily escaped), and once the house is overrun, he finds himself surviving by retreating to the one place he refused to go all along: the basement. If that weren’t demoralizing enough, with the arrival of dawn the zombies have abandoned the house, and as Ben slowly rises from his own underground refuge, he is immediately shot dead by a roving band of “saviors” lead by the local Sheriff himself. Visually, it is an act of institutional vigilantism that deliberately calls to mind television footage of the civil rights movement with armed white men and police dogs trying to keep African-American people “in their place.” And the film’s closing photo-montage (which recalls historical lynching photos turned into white supremcay postcards) of the vigilantes dragging Ben out with meathooks and throwing him on a pile of wood with the exterminated ghouls is a powerful indictment of white social power in the Twentieth Century. Ben even ends up lying head-to-head with the first zombie we saw in the film (Bill Hinzman). This is a bleak and brutal film where hope is dangerous and ultimately self-defeating. Ignorance, brute force, and institutionalized mob violence are the only ways to survive. 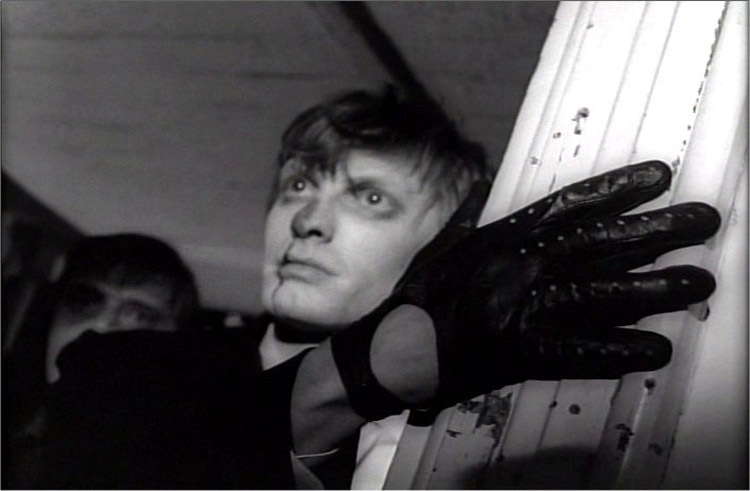 And while film historian Joseph Maddrey is accurate in his book Nightmares in Red, White and Blue, when he describes the filmmaking as “guerrilla-style” and “as much like a documentary on the loss of social stability as an exploitation film,” Night of the Living Dead is very solidly-directed for Romero’s first feature film. Budget restrictions may have limited the production to one or two principal locations, forced the use of simple (and cheap) special effects, props, and costumes, and necessitated the use of 35 mm black-and-white filming, but nearly every shot of this film is meticulously framed and executed. Romero’s years of experience producing television commercials and industrial films with his company The Latent Image (including a horrifying segment for Mister Rogers’ Neighborhood – “Mister Rogers Goes to the Dentist”) is evident throughout, as light and shadow is used not only to create mood, but to illuminate and enhance character. This is especially the case when Barbra first discovers the farmhouse. She is constantly framed in narrow slivers of light, isolated and alone in the heavy darkness. Her face is also fragmented by shadows – and in one lovely shot, by a music box she peers into – as she loses her grip on reality. The graphic nature of the violence becomes even more disturbing with the anything goes approach that filming with little-to-no budget allows. The black and white filming allows for the presentation of gore that seems a little more real than Technicolor blood and guts might have allowed. In fact, all you have to do is watch a little of the colorized version to see how the realism is undermined by color representation. That is the only time I’m ever going to tell you to see a colorized version of anything. What starts almost as a Cinéma vérité slice of life film as Barbra and her brother Johnny (Russell Streiner) go to place flowers on the grave of the father neither of them really even remember or care about, shifts suddenly with the first ghoul attack into Expressionistic angles and shadows. Romero utilized a repurposed soundtrack (having no money to commission one) of stock orchestral music that helps to ground the film in the tradition of classic horror, and electronically augmented music and ambient noises that underscore the unnerving violence and loss of social structures that helps to make Night the starting point for a whole new world of horror cinema. Seriously. Listen closely to the scene where newly resurrected Karen Cooper (Kyra Schon) murders her mother Helen (Marilyn Eastman) with a trowel. That’s just gut-wrenching and nightmarish. This was the first, and is maybe still the best, of the flesh-eating zombie genre that has since overtaken pop culture. Every single film or television show you watch with flesh-eating zombies in it is either inspired by, or responding to, Night of the Living Dead. There may be no other film in any genre that can make this claim. If you really want to get a good look at the making of the film, check out the stellar documentary Birth of the Living Dead and you’ll be glad you did. And if you want to pick this one up for your collection, I highly recommend picking up the recently released Criterion Collection Blu-ray. The film has never looked better and the extras are amazing.